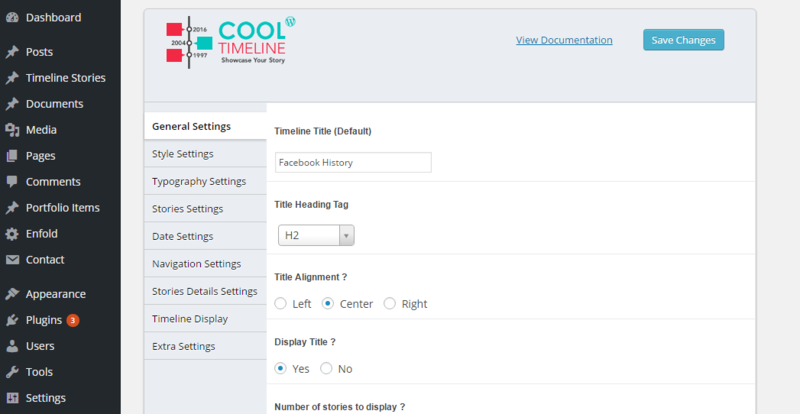 You can represent your stories in an awesome timeline format by setting images, videos, slide-show and custom design and colors according to your theme. You can use this timeline plugin anywhere via simple short-code. One click plugin update from plugins section (Automatic updates). Introducted Ajax load more feature in vertical timelines. Integrated Category based fitler in vertical timeline. Added ability to quickly update order of custom order based timeline in all stories section.